For all of last week, Palm Springs hosted Modernism Week, an annual celebration that showcases the desert city's world-renowned architecture. According to the event's website, "the mission of Modernism Week is to celebrate and foster appreciation of mid-century architecture and design, as well as contemporary thinking in these fields, by encouraging education, preservation and sustainable modern living as represented in Palm Springs." 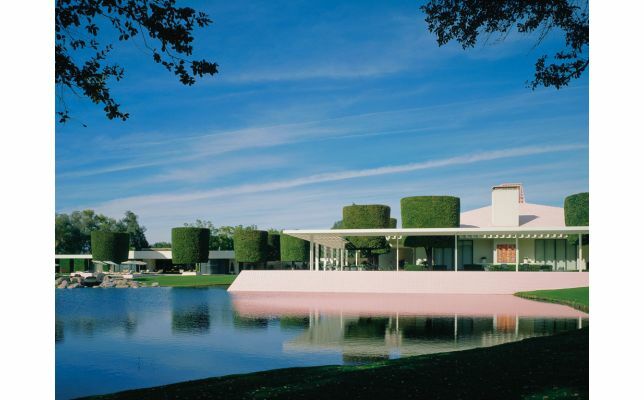 Modernism Week was started in 2006, after local design enthusiasts realized the success of both the Palm Springs Modernism Show and the annual symposium organized by the Palm Springs Art Museum's Architecture and Design Council. The works of William F. Cody, John Lautner, A. Quincy Jones, Neutra, Hugh Kaptur, William Krisel and Wexler are now commemorated every February, as tens of thousands of people flock to the city. This year marked the tenth anniversary, with celebrations running from February 12 through 22. The week was full of parties, bus and bike tours, exhibitions and talks throughout all of Palm Springs.